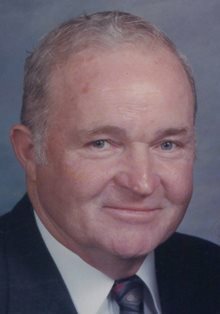 Obituary for Mr. Donald Edward Schisler | Hinchliff-Pearson-West, Inc.
Donald Edward Schisler, 80 of Abingdon, passed away at 11:50 a.m. Friday, February 1, 2019 at the Rosewood Care Center of Galesburg. He was born June 21, 1938, near London Mills, the son of Homer P. and Nada (Mitchell) Schisler. He married Marcia Engle. He later married Darlene Froelich May 31, 1980 at the Abingdon United Methodist Church. Don is survived by his wife, Darlene; his kids, Pam Dawson of Quincy, Greg (and Kelly) Schisler, Steve (and Bonnie) Froelich, Scott (and Barb) Froelich, and Stan (and Jill) Froelich, all of Abingdon; 11 grandchildren, Samantha Dawson, Eric (and Jodie) Schisler, Amber (and Neil) Smith, Cory (and Breiah) Froelich, Travis (and Stephanie) Patrick, Ralph (and Shana ) Froelich, Donald (and Brooke) Froelich, Jessica Froelich, Holly (and Chancy) Weidenhamer, Linsey (and Adam) Ackerman, and Marty Fiacco; 21 great-grandchildren, Easten, Eli, and Jayda Schisler, Briar and Reid Smith, Morgan, Cole, Connor, Harper, and Grayson Froelich, Cassandra, Carson, and Catlyn Patrick, Mason and Weston Froelich, Cali Froelich, Audrey, Wyatt, and Colton Ackerman, and Ava and Owen Weidenhamer; one sister, Betty Sickles of Abingdon; one brother, Homer (and Sue) Schisler of Michigan; and several nieces and nephews and their families. He was preceded in death by his parents, three sisters, and seven brothers. Don attended Abingdon schools. He owned and operated Don’s Standard Station, Don’s Shell Station, Don’s Auto Sales, D & S Auto, and The Cone Shop. He retired in 1994. He was a volunteer fireman for the Abingdon Fire District from 1963 to 1989 and served as Fire Chief from 1987 to 1989. He was a member and past president of the Abingdon Fall Festival Association, a member of Abingdon Masonic Lodge #185, and a volunteer time keeper for many years for Abingdon High School football games. He was a supporter of the Abingdon community youth groups. He was an avid golfer at Laurel Greens in Knoxville and in Texas, where he and Darlene wintered at Harlingen for 22 years. He also enjoyed a good game of cards and pool. Funeral service will be held at 10 a.m. Wednesday, February 6, 2019, at the Abingdon United Methodist Church, 401 N. Washington St. in Abingdon. Rev. Nancy Wilson will officiate. Burial will be in the Abingdon Cemetery. Visitation will be held from 4 p.m. to 7 p.m. Tuesday at the church. Hinchliff-Pearson-West Funeral Directors and Cremation Services Abingdon Chapel is in charge of arrangements. Memorials may be made to the Abingdon Fire Department or to the Abingdon Banty League. Online condolences may be made at www.h-p-w.com.